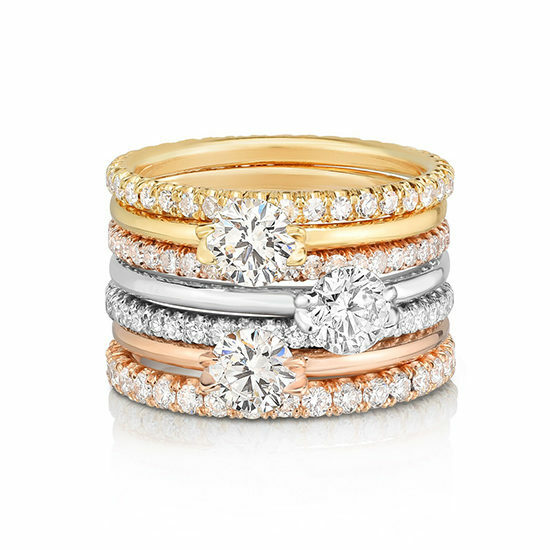 The Douglas Elliott Signature Collection is a special series of diamond jewelry created by Douglas Elliott featuring Forevermark Diamonds. Forevermark diamonds come from the top 1% of De Beers rough diamonds. Forevermark Diamonds promise to be the most beautiful, rare and responsibly sourced diamonds in the world. Each Forevermark Diamond is traced every stop of the way from the mine to the cutter to the store to you, should one become yours. Douglas made this sleek, contemporary, fashion collection as an homage to and in celebration of Forevermark’s commitment to beauty, sustainability and empowerment.